Watch TV, play video games, or listen to music as loudly as you like without interrupting anyone else. 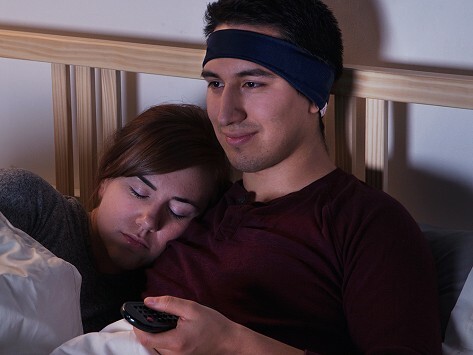 These wireless headband headphones fit snugly and comfortably on your head. Simply position it so the two built-in speakers are placed over your ears. A small control panel lets you adjust the volume or change tracks without removing the headband. Listen via Bluetooth transmitter, or use the mini-USB or RCA-Y cable to connect to your components. Dimensions: TellyPhones: 10" x 3" x 0.5"; Adapter: 2.75" x 1.75" x 0.5"
Weight: TellyPhones: 0.1 lb. ; Adapter: 0.04 lb.